When you are a recruiter by choice, and forever asking questions, and catching folks off their guard, you get a feeling that you can interview even in sleep! But it is totally another game when one is being interviewed. And I hadn't reckoned what the Pro Paul Slezak was upto! Here is the link to the detailed interview- that he had done as part of a monthly newsletter that is sent to the Recruitloop ecosystem! "People ought to get paid for doing what they love doing most! There are far too many unhappy folks currently in the wrong job lacking the passion for making a difference to others around them. Too much of one’s identity is hinged on what one does for a living." Well, as I reflect again, I wonder if I had another chance who else I may have added. 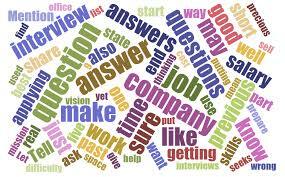 I must confess -at times, you end up answering what you think the interviewer probably wants to hear!! And in this case, as most of our ecosystem was Americans, I opted to keep cricket out of it. It was tough keeping Rahul Dravid out of the list. And as always -it would be wonderful to know how you would have approached these questions! Feel free to share..